Day 8: 5 Current Goals – Live, Love, Simple. I am definitely a “goals” person, if there is such a thing. If there is any hope of getting yourself to where you want to be, you must have a map (A PLAN). And if you’re going to create a map, then you obviously need a destination (A GOAL). I set goals for myself all the time. At any given time I have a few “this week” goals; a few “this month” goals; and a few longer-term “this year/next year” goals. I’ve written in more detail about goals and my goal setting processes here and here. 1. Work on physical fitness. Sadly, I am in the worst shape that I’ve been in, in 7 years. I stopped working out during my pregnancy and I never started again. I am so ashamed to admit it! But, it is what it is. I’ve lost a lot of my baby weight. I gained 50 pounds and have lost 30-35; but I still have another 15-20 pounds to go. I had always hoped to have all of my baby weight off by six-months postpartum, and well, that came & went yesterday. Roman is finally sleeping well and I am healed from my “delivery ailments.” I already eat well but I need to start exercising. I am actually going back to the gym for the first time today in well over a year! My goal is to build up my endurance to where it was pre-pregnancy and to fit into all of my pre-pregnancy clothes again. 2. Grow my photography business/expand advertising. I launched Firefly Jar Photography in the spring and the response has been incredible. I’ve had several great sessions and have lots more planned for the upcoming year. I hope to continue to expand the business. I have to sit down and come up with a plan of action. 3. Create a blogging schedule & continue to work on monetization. Hopefully you all have noticed an uptick in my blogging. Now that I am home full-time and Roman is becoming more independent, I have a lot more time to work on this blog. I’ve been dreaming of turning this blog into “something more” for years and I am finally at a point where that is feasible. I’ve been increasing the site’s traffic, partnering with wonderful companies/small businesses on reviews & giveaways; and have even had a few small sponsorships. Hopefully, the next step will be to pick up some larger sponsorships. I’ve been blogging publicly for 5 years and I couldn’t even begin to quantify how much time & energy I have put into it. To finally be able to make it even remotely profitable would be wonderful. If I am going to be a stay-at-home-mom, I need to start bringing in at least a small income. Hopefully between my photography & this blog, I will be able to do that. 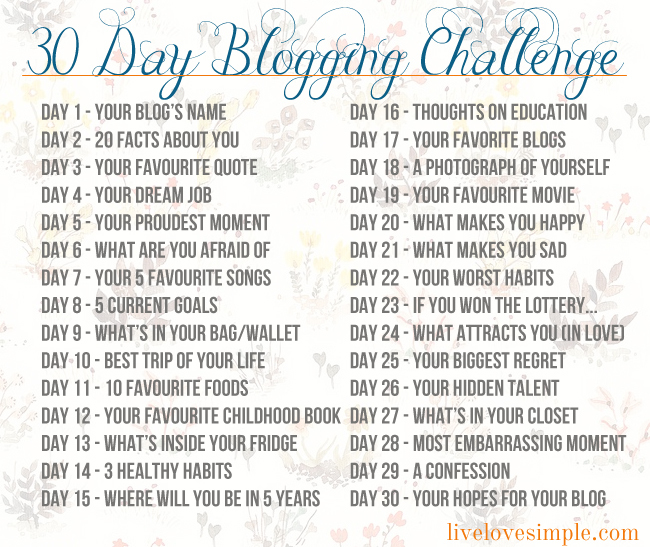 I would also like to create a blogging schedule to keep myself on track. Sometimes inspiration is flowing & I have more ideas than I know what to do with. Other times, I have complete writer’s block. A blogging schedule should help keep me on track. More about this soon. 4. Increase our self-sufficiency/sustainability. One of our long-term gals is to make our lifestyle as close to self-sufficient & sustainable as possible. There are two primary reasons for this. First is monetary — the more self-sufficient we are, the less money we will need, the more freedom we will have. Second is environmental — nature is of the utmost importance to us. Although we do not consider ourselves religious people, we are very spiritual and nature is our temple. Living sustainably & minimizing our environmental footprint is a top priority. Realistically, I am writing this from my desk, sitting at my 27″ iMac using a WI-fi connection. I know that we will never be 100% self-sufficient or sustainable. However there are many things that we can do/are doing to get closer. We are purchasing a wood-burning stove today. There is an enormous forest behind our house and there are regularly fallen trees (both in and around our yard). Matthew has chopped up several of these fallen trees and we have enough firewood to warm our house for all of this winter and most of next. I am already planning two, big gardens for the spring. I would also like to learn how to preserve and can. We will be getting egg-laying hens in the spring. And finally, we plan to start fishing. There is plenty of good fishing around here and thus far it’s been a totally untapped resource for us. Much more on this subject to come. 5. Meditation/yoga. Another thing that has fallen off my plate since becoming pregnant has been meditation & yoga. I know that these things are vital to my spirit. I would like to start slowly by taking ten minutes each day to stretch and meditate. Lived reading your goals. 🙂 Congrats on the success you’ve been having with your blog! I’ve noticed you’ve been working with a lot more companies – you must be having a lot of fun with that! I love seeing everyone’s goals, it reminds me more of what I want in life too! Yoga and being more sustainable are definitely up there too. (5) Start some kind of sports side job business that I can do part-time from home on nights or weekends. Somehow reading about your goals has made me reevaluate my own. Thanks for this, and for sharing so honestly 🙂 I love that about your Blog!